If you’d like to join Igglepiggle, Upsy Daisy, Makka Pakka and friends for their new show this year but haven’t got round to booking your tickets yet, here are 7 reasons why you really should do it now! 1. Go now before your little one grows up! So many parents tell us this is an amazing experience for you and your little one that you’ll never forget! Little ones grow up so fast. Don’t miss your chance to see the look on their face when they see their favourite characters brought to life! This link will take you to our official ticketing partner Family Tickets where you can choose your performance date and time, view the seating plan, and book your tickets online. 2. If you book early, you can choose the best seats! There are still seats available for almost every performance. But don’t leave it too late – 53,173 people have booked so far and some performances are very full. It’s worth booking before the show starts on 28 Feb to make sure you get the best choice of dates, times and seats. 3. We’re coming to 46 theatres - each for a few days only! Don’t miss it – we’re coming to 46 theatres across the UK from 28 Feb. There are only a few performances on sale at each theatre and we’re visiting most venues for 2 days only. 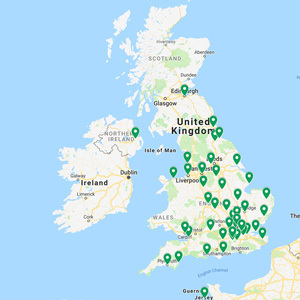 Enter your postcode here to find your nearest venue and book now before it’s too late. 4. 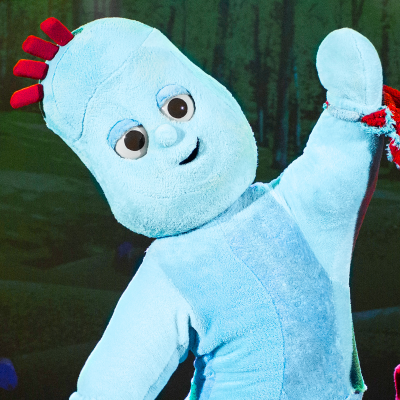 See Igglepiggle and friends live at your local theatre! You can’t see Igglepiggle’s Busy Day on TV. It’s specially written for the first ever In the Night Garden Live tour to UK theatres. The only way to see this brand new show is to book tickets with our official ticketing partner Family Tickets before it’s too late. Parents tell us that children as young as a few months old engage with the live show, and the looks on their faces are absolutely amazing. See our In the Night Garden Live gallery and read parents’ reviews to find out more. 7. 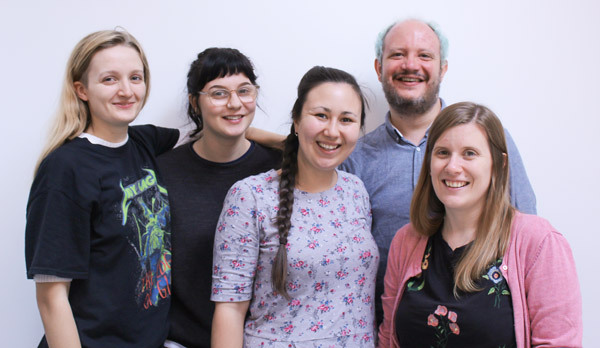 Our friendly support team can help you book the best seats now! We know you may have lots of questions about the show before you’re ready to book tickets. Don’t worry – our friendly support team is here to help you. We’ve already helped thousands of families like you book tickets early for In the Night Garden Live 2019. Let us help you complete your booking now, before the show starts on 28 Feb, to make sure you get the best choice of dates, times and seats. We’re here to help you plan an amazing and memorable day for your family. So please do get in touch with us now for a chat! You can email helpdesk@nightgardenlive.com any time or call us on 0330 120 0123. We’re available Mon-Fri 9am-6pm and 9am-5pm weekends and bank holidays. Do it now while it’s still fresh in your mind, before it’s too late. Why is there no show in the south.